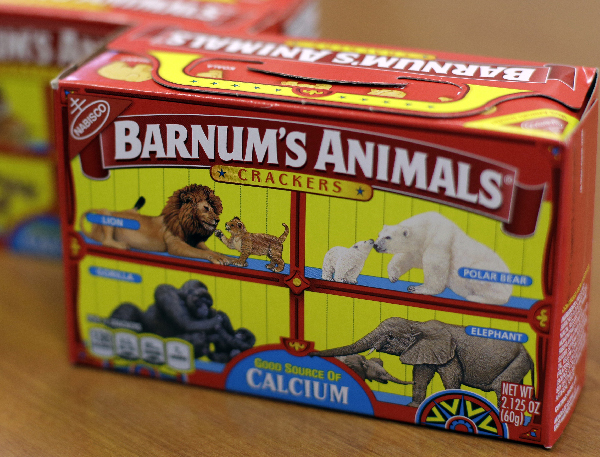 This Monday, Aug. 20, 2018, photo shows boxes of Nabisco's Barnum's Animals crackers with the old design in Chicago. 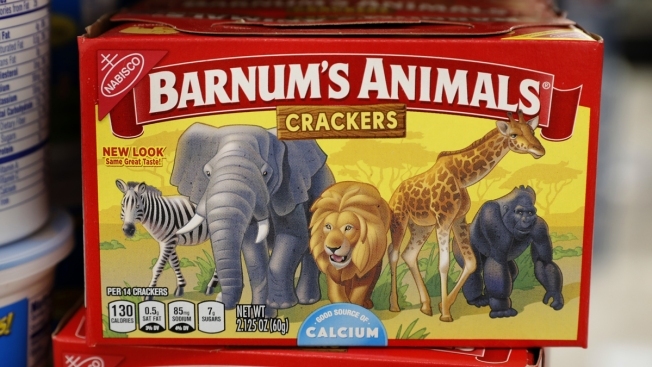 April 18 is National Animal Cracker Day. Here are some fun and surprising facts about the sweet treats.